24 years ago, Fr. Emilio Balliana and Bro. 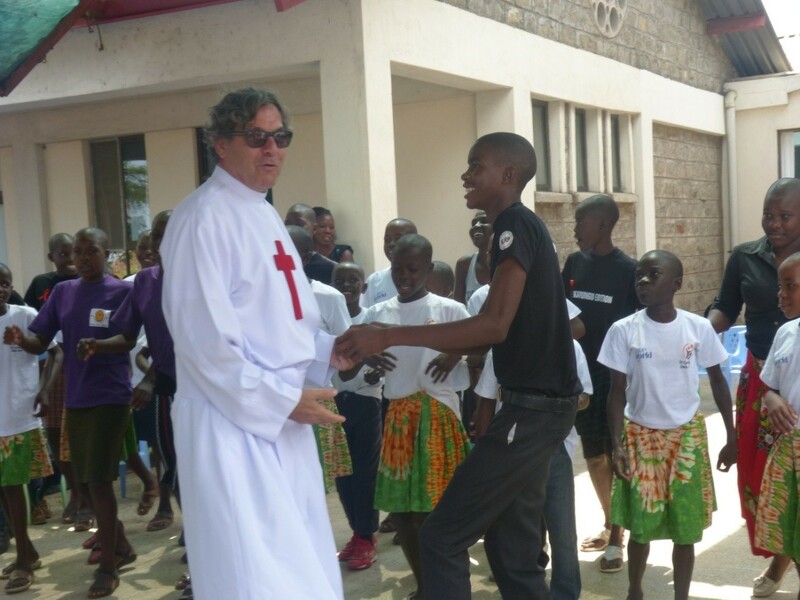 Valentino arrived in Karungu to start on a mission. As history haves it, Karungu was a marginalized area with high HIV/AIDS prevalence. This interested Camillian community whose main aim is to care for the sick, the poor and underprivileged people. To remember this honourable mission, every year 16th of July, the Camillian fraternity celebrates the feast of St. Camillus. 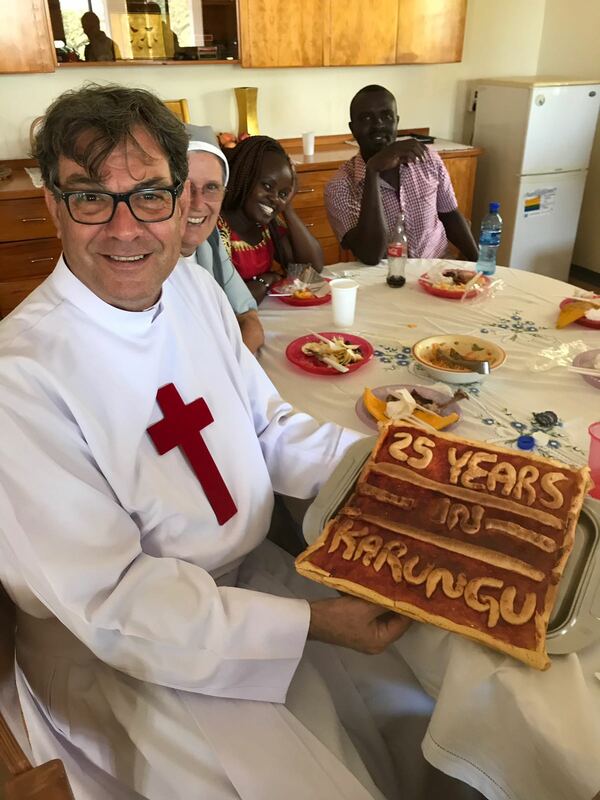 In line with this celebration, this year we begin to commemorate the 25th year anniversary of the presence of Camillians in Karungu. It has been a long journey with uncertainties and beautiful blossoms. 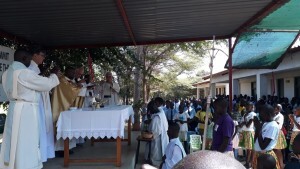 The Holy Mass was presided over by Fr. Dominic. 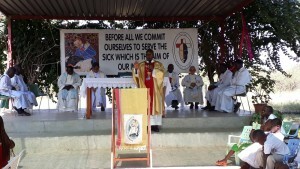 During liturgy, he mentioned the reason behind yearly commemoration of the Feast of St. Camillus. 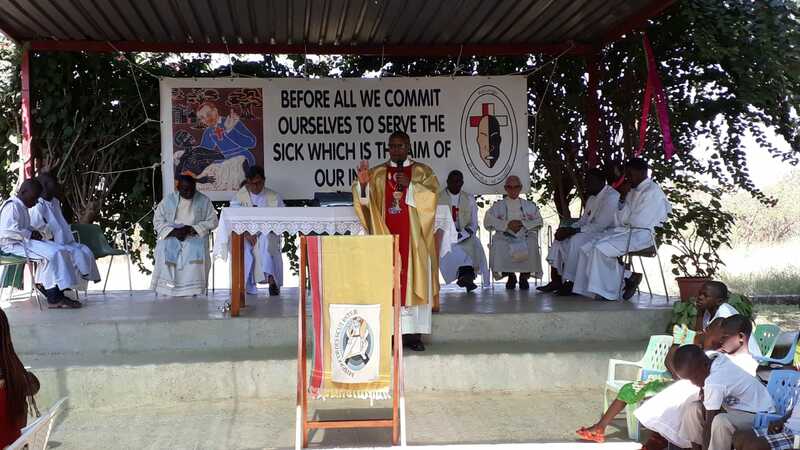 “We mark these celebrations to help us remember our main goal as the servants for the sick. We have to do better, we have to improve our services and we ask Jesus to be in our hands as we serve the sick” he said. “St. 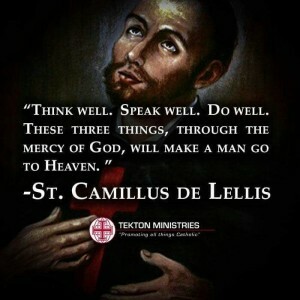 Camillus De Lellis was a good man. He cared for the sick and would not tolerate any ill acts against them.” He said. 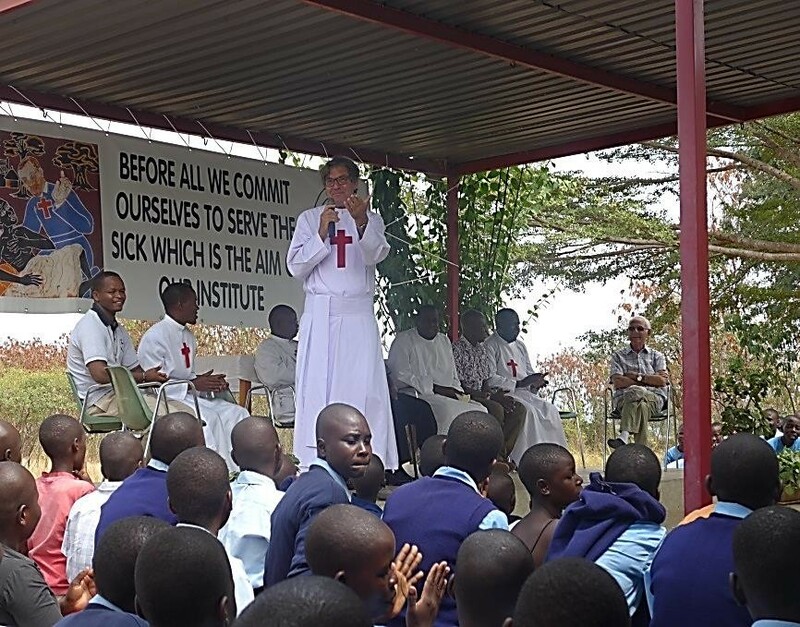 He called upon doctors, nurses, clinicians and even cleaners to serve the sick from their heart. “Do it not because of the money but because it is right.” He encouraged. 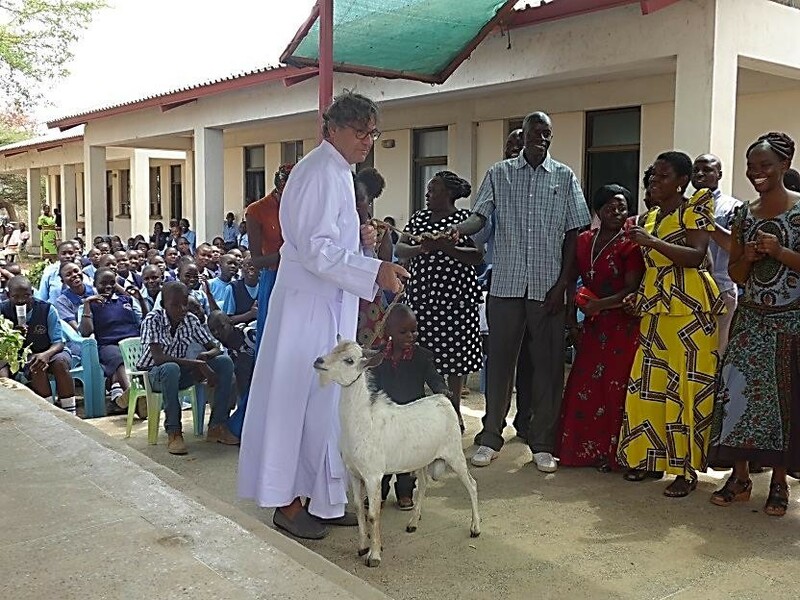 Before he concluded his sermon, Fr. Dominic shared a message from the Most Reverent Bishop Phillip Anyolo of Homabay Diocese whose absence from the feast was due to unavoidable duties. 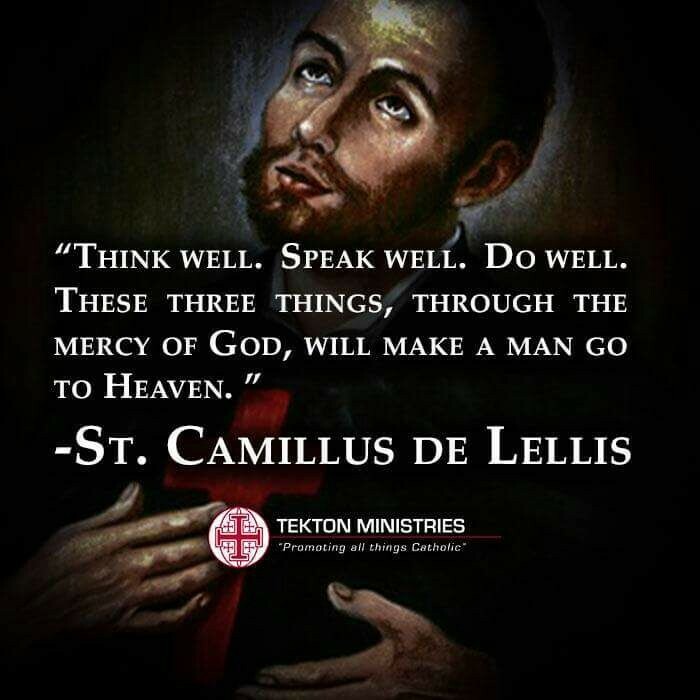 The Bishop’s message to the congregation was a quote from St. Camillus De Lellis which was to “think well, speak well and do well. In these three things you will find a place in heaven”. 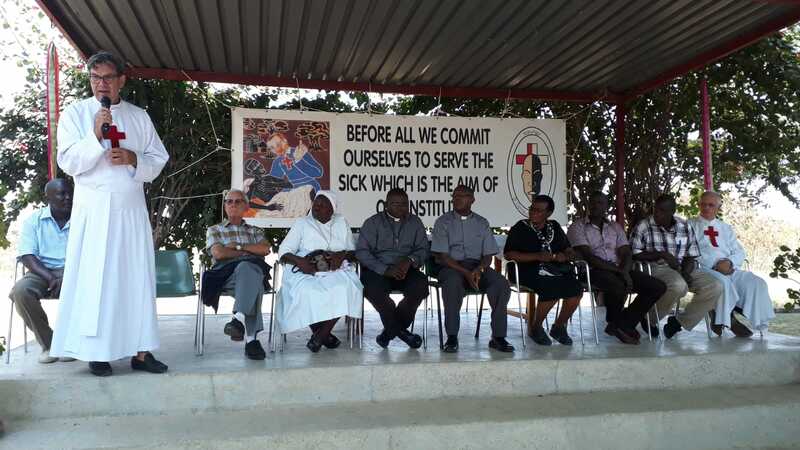 By the message from the Bishop, the congregation was encouraged to master the three words and practice them in their daily lives especially when attending to those in need. 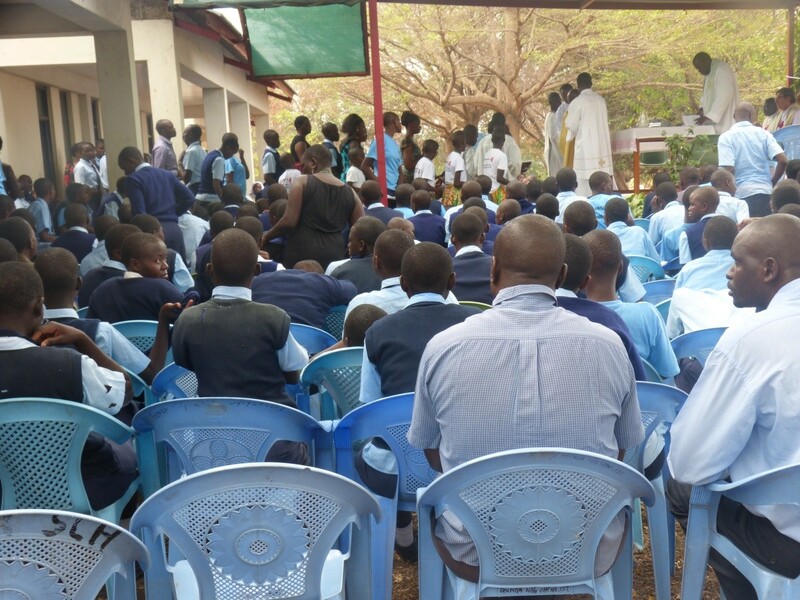 St. Camillus Karungu has been growing. 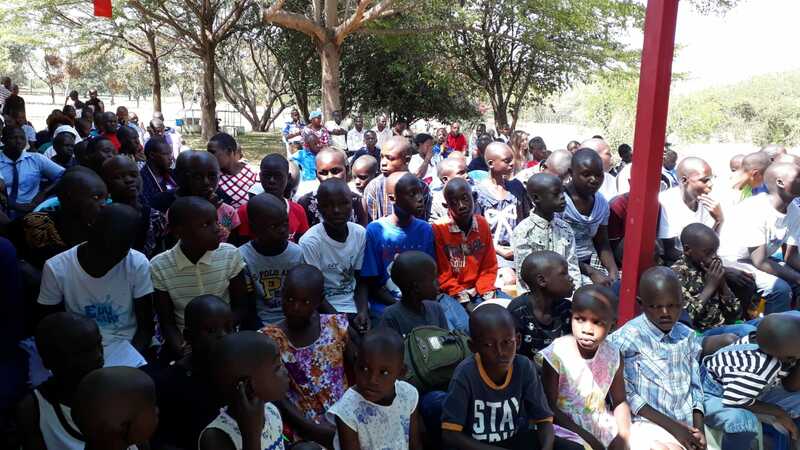 A mission which started by building a hospital to serve the sick revolutionized to a centre for children, Dala Kiye and two schools B.L.Tezza primary and secondary schools. As we celebrate the achievements of Camillians mission in Karungu, we also celebrate the spiritual growth that comes with it. 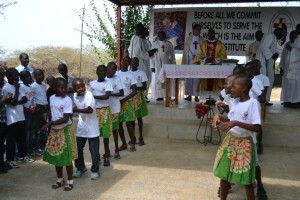 During this celebration, a Camillian lay family was publicized. 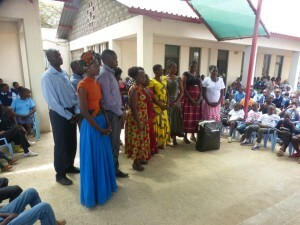 The group is made up of Christians who in their own unique calling into serving God, would go through formation to serve the sick. Fr. Emilio one of the founders of St. Camillus Karungu narrated his life as a Camillian. At 10 years of age he dreamt of serving people. 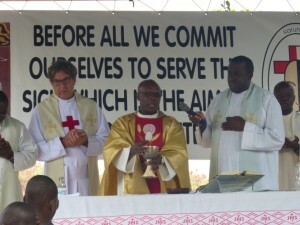 Drawn by the Red Cross, a symbol of Camillians charism, he joined the Camillian community. He has been living his dream for 51 years now and he is happy to have followed his passion. “St. 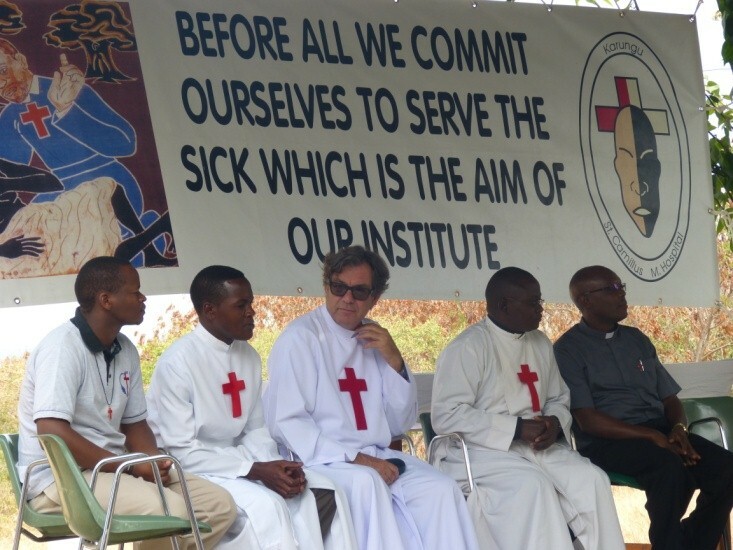 Camillus Hospital is among the best health facility we have in the country. We provide and will always strive to provide the best to our patients. The sick need to be treated with dignity. Everyone deserves the best care.” He said. He also encouraged people to be generous and provide for those in need. The celebration came to an end with an impressive performance from the children. 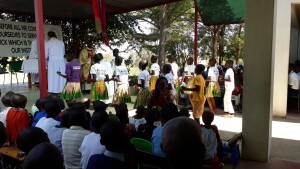 They entertained the audience with colorful songs and dances. The guests then shared a buffet meal at the religious community dining hall and the sick shared soft drinks and sweets. 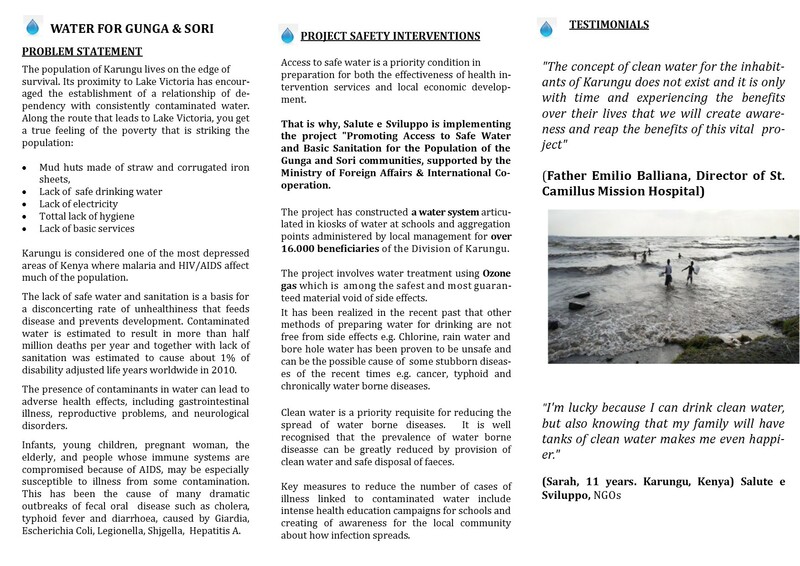 Karungu was not the first choice for Camillians to put up a hospital, but through persuasive invitation by Fr. 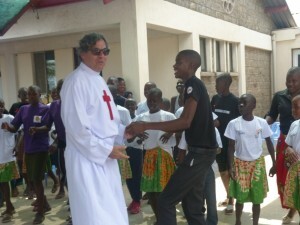 Claudio Moscatelli who was the Passionist Superior by then, it came to grow into a beautiful facility. Thousands of people benefit from it. To the Camillians in Karungu, it is not only celebrating 25 years of service but also the great achievements and joy that serving the sick, poor and underprivileged has brought. 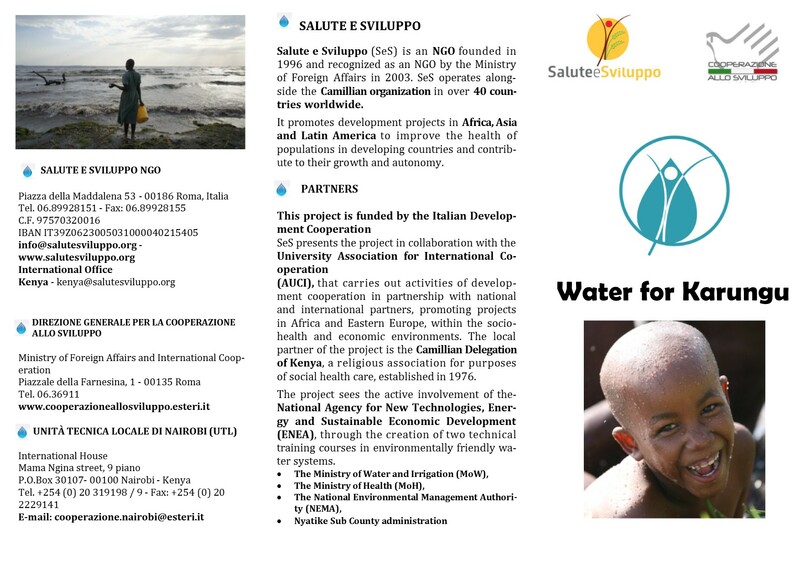 It is still a long journey ahead.